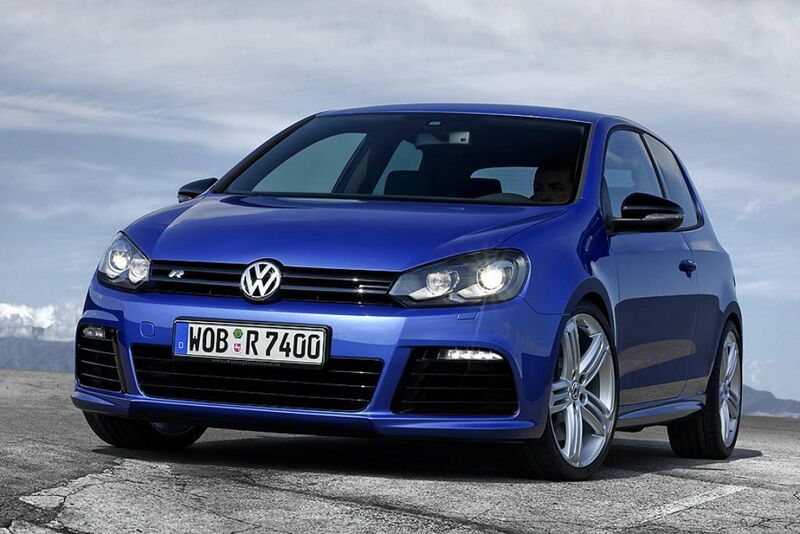 The new Volkswagen Golf R and Golf Cabriolet can be either petrol-powered with TSI engines or diesel-powered with TDI units. The petrol engines with TSI technology operate particularly efficiently thanks to the combination of petrol direct injection and intelligent turbocharging. They stand out for their low fuel consumption and high torque at low revs. 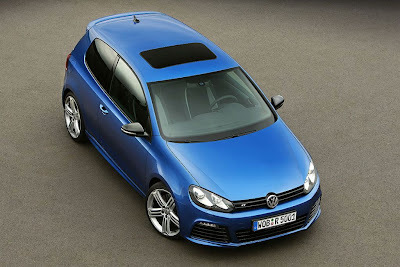 The powerful TDI engines with state-of-the-art common-rail technology likewise have a great deal to offer. They convince with low fuel consumption and low CO2 emissions together with maximum power delivery. 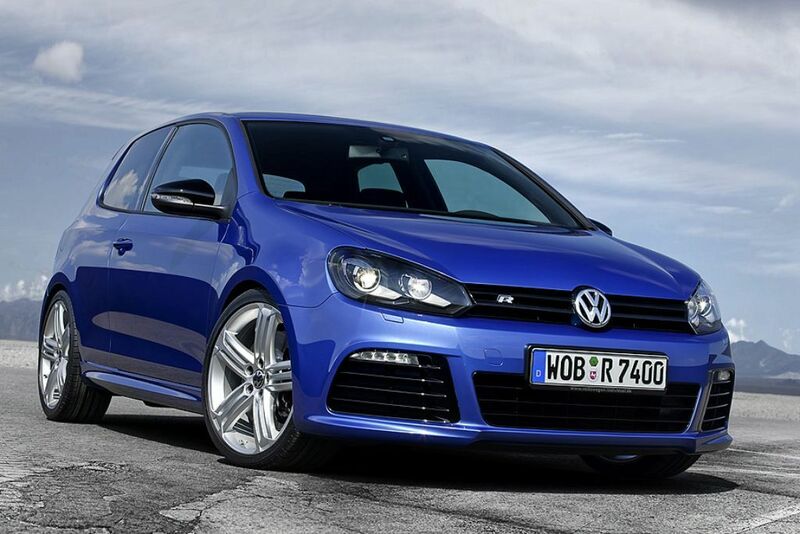 The striking front end of the new Golf R and Golf Cabriolet provides more than just a hint of sportiness. 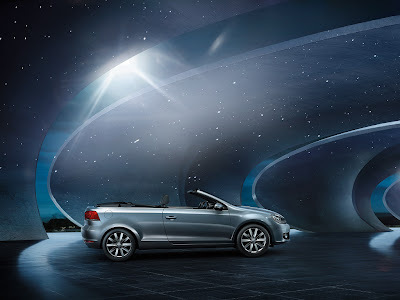 A glance at the headlights and turn indicators under the same clear-glass cover and the door mirrors with integrated turn signals give an indication of the dynamic character of the new Golf Cabriolet. The same is true of the streamlined silhouette, which the stylish, fully automatic fabric hood blends into perfectly. The exterior design of the new Golf Cabriolet impresses with its elegant sportiness. The electro-hydraulic fabric hood blends seamlessly into the overall styling of the streamlined silhouette. 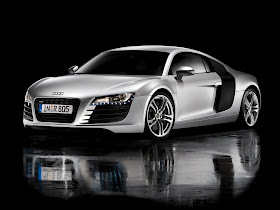 The radiator grille further underlines the dynamic look. And the rear too, with LED rear lights in black and red as well as bumpers in a sporty design and painted in the body colour, emphasise the vehicle’s dynamic character. A brief moment, less than ten seconds: that’s all it takes for the fully automatic, electro-hydraulic fabric hood on the new Golf Cabriolet to open – and for you to savour the ultimate cabriolet driving experience. The hood is opened simply and fully automatically at the touch of a button, at a speed of up to 30 km/h. The wind deflector reduces annoying wind noise during the journey and at the same time protects you from unpleasant draughts around the neck. 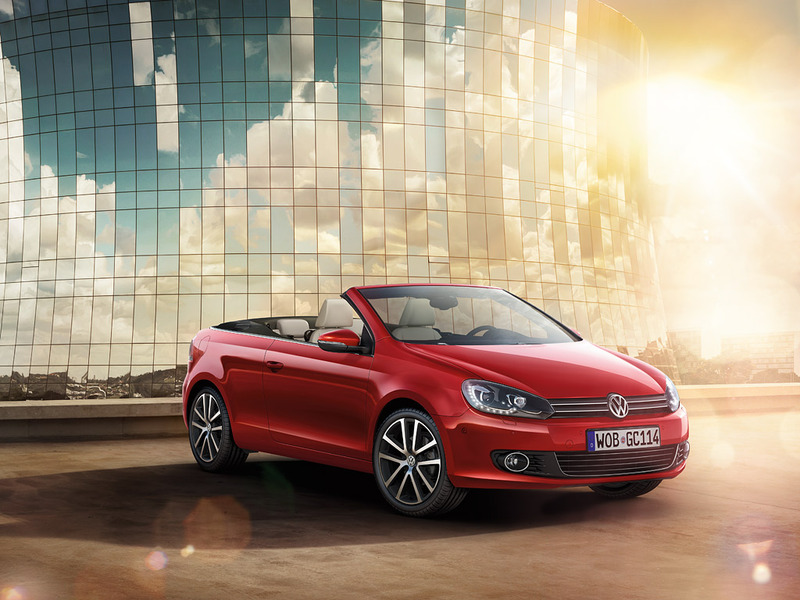 From the elegant to the sporty - you can choose from a variety of wheels for the new Golf Cabriolet. For example, the classic “Seattle” alloy wheel in size 7 J x 17 with wide-base 225 tyres. Or the classy “Salamanca” Volkswagen Exclusive alloy wheel painted in Sterling Silver with dimensions of 7 ½ J x 17 and also shod with wide-base 225 tyres. In terms of occupant safety, the new Golf Cabriolet makes no compromises. The active rollover protection system is automatically deployed if the worst comes to the worst pop-up protection bars in conjunction with an extremely rigid windscreen frame provide protection for the occupants of all seats. In addition, the front passengers are protected by front and side airbags and there is also a knee airbag for the driver. There's an art to creating good looks. And there's a science to retaining them. To make sure that the Golf Estate is a source of enduring pleasure for you, not only is the body galvanised; its cavities are also treated with hot wax for lasting corrosion protection. The Estate is made even more durable by the long-life underseal for the floor pan and wheel arches together with plastic wheel arch linings at the front and rear.